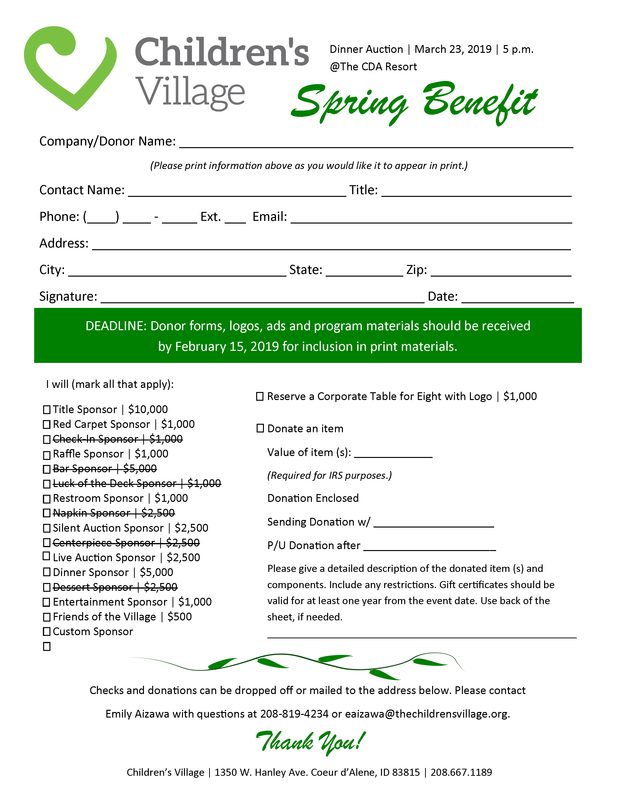 Join us for the 29th Annual Spring Benefit dinner and auction Saturday, March 23, 2019 at the Coeur d'Alene Resort from 5 p.m. to 9 p.m. We need your help to make a difference in the lives of children in crisis. Children's Village is 95 percent donor funded, with only five percent of the funding coming from the state. We give kiddos the chance to have a safe home during this traumatic time in their life and without your help we wouldn't be able to do what we do. Take a look at our Sponsorship Breakdown Form to see what you can do to help make a difference in the lives of our local children. Purchase a Corporate Table of 8 for your closest friends, family and/or business associates! We will proudly display your logo throughout the night. Can't sponsor but still want to help? We are still looking for silent and live auction items. Grab our Sponsorship Form to learn more. Don't Want to Drive Home? Book a Room! 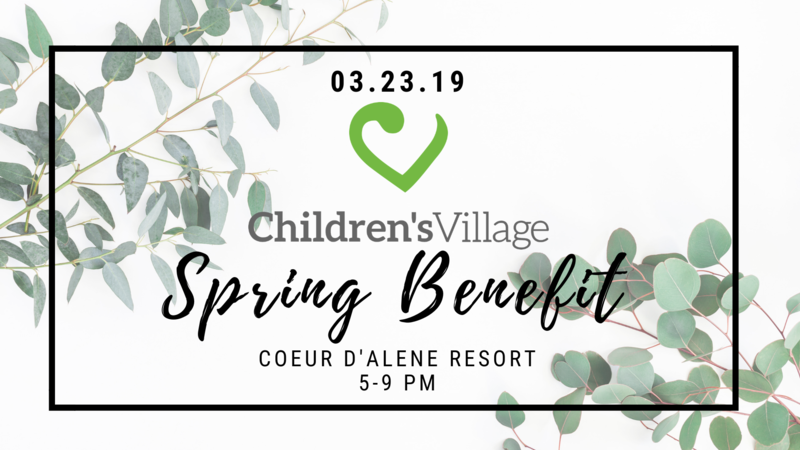 After a fun evening at the Spring Benefit, book a discounted room at the Coeur d'Alene Resort. Call 208-765-4000. Mention: Children's Village to receive the room discount. Business to Formal Attire is appropriate. Thank you to All our sponors!